I am a teacher of English in an elementary school. I really love this site and I appreciate all your wonderful works. 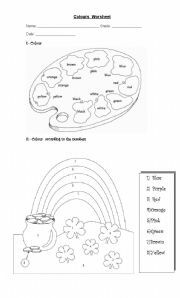 Students have to colour, draw and colour, choose the correct answer and they also have a listening activity in this worksheet. This is about house rooms and furniture vocabulary. It also has exercises with "yes, there is", "no, there is not", "yes, it is", "no, it is not". Enjoy it! 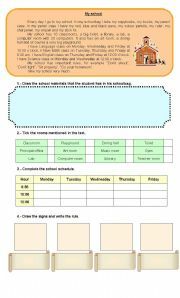 It�s a very useful worksheet. It has school rooms vocabulary, things you find in the school rooms. 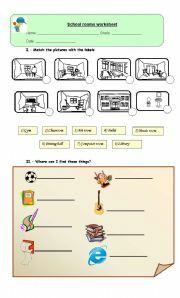 Beside you can practice prepositions reading a school plan and answer true or false questions. Just to work with hobbies and sports vocabulary. 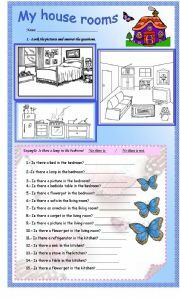 I�m glad to share with you this useful worksheet. 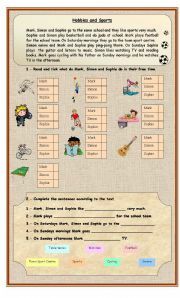 This worksheet allows students work on school vocabulary such as: school materials, school rooms, schedule and rules. It is very useful to check students learning process. I hope you�ll enjoy it. 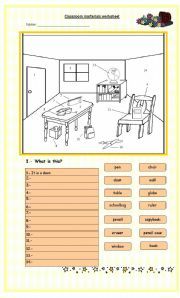 Students have to complete the chart, colour the school materials according to the instructions, complete with the correct preposition and draw the materials asked. 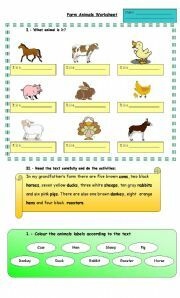 Nice worksheet with exercises using animals farm vocabulary, colours, numbers, "there is" and "there are". My students loved it very much. 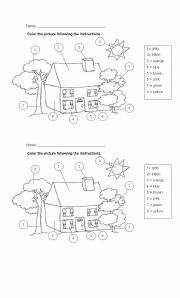 Students have to color the house following the instructions. Just to practice the meals of the day, food vocabulary and you can do a listening comprehension activity with your students. I hope you enjoy it. 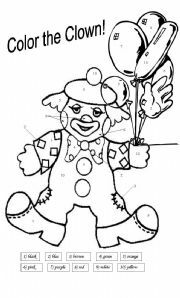 Let our students have fun just coloring this funny clown.